In addition to being an accomplished and versatile saxophonist and woodwind player, Bill Tiberio is a music educator. He has over 25 years of experience in the field of public music education, and has been at Fairport (NY) high school since 1988. At Fairport, Bill conducts the top Concert Band, two jazz ensembles, jazz combos, pit orchestras, chamber ensembles, and teaches woodwinds throughout the district. He is the former president of the NY State Chapter of the International Association of Jazz Educators, and is on the summer jazz faculty for the Eastman Community Music School high school program and the founder and director of the Hochstein School of Music summer jazz camp. Bill is also a regular faculty member for the Tritone Jazz Fantasy Camps, held in Rochester in the summer. He is the founder and conductor of the Eastman Community Music School High School Chamber Winds, and is the conductor of the University of Rochester Wind Symphony and the University of Rochester Jazz Ensemble. During the 2010-11 school year, Bill started the Eastman Community Music School Jazz Educators Ensemble, and also taught the Thursday Night Jazz Lab Band at Ithaca College. He will continue to lead those two ensembles in 2011-12. Bill is a frequent guest conductor, clinician, and adjudicator for both jazz and concert honor groups and festivals throughout NY State. 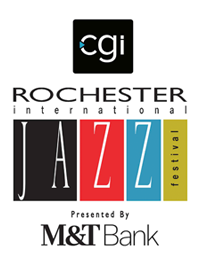 He is active in the Rochester music scene as a jazz saxophonist and woodwind player, and has had experience in all styles of jazz from contemporary to latin, and straight-ahead. Bill has performed with Fred Wesley, The Four Tops, the Temptations, Nestor Torres, Lou Gramm, and the Rochester Philharmonic Orchestra, and has shared the stage with Chuck Loeb, the Yellowjackets, Eileen Ivers, Jesse Cook, Ken Navarro, the Rippingtons, and Euge Groove. He is a founding member of the original contemporary soul group, The Bill Welch Band, and is the saxophonist in the Spiritus Christi Gospel Choir. Bill is also the saxophonist in the party band, Allegro. Bill has been honored with notable recognition of his teaching. Among the awards he has received are the University of Rochester Excellence in Secondary Teaching Award, the Fairport High School Alumni Wall of Fame, The Rochester Philharmonic Outstanding Music Educator Award, the Crystal Apple Fairport High School faculty peer award, and has been selected by the students at Fairport High School as a commencement speaker and a yearbook dedication recipient. Bill Tiberio released his first CD on the Trier Record label in April 2003, “the story ends…the story begins.” He is joined by guitarist Melvin Henderson, who produced the recording, organist Gerry Youngman, drummer Ted Poor, vocalist Harold Pannell, and latin percussionist Tony Padilla. For more information visit www.ptentertainment.net. Bill’s second CD on the Trier Records label, entitled “Promise Street” was released on January 20, 2005. 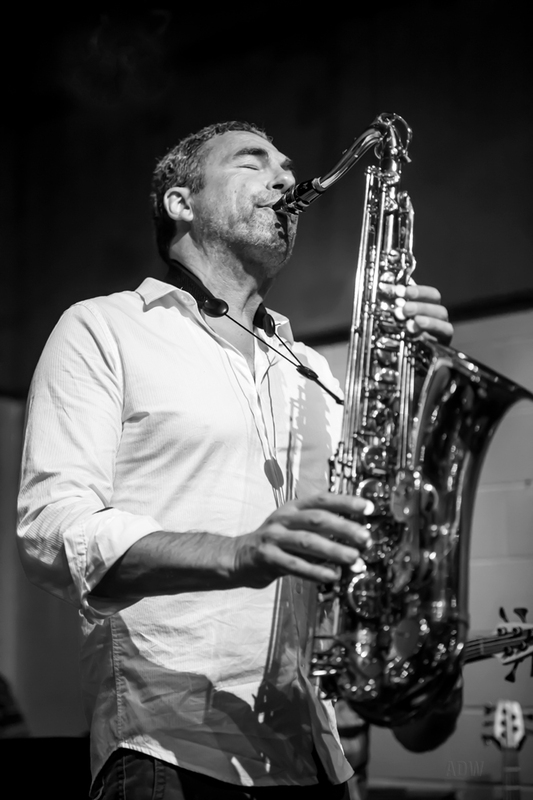 Bill again collaborated with Paradigm Shift, who received national recognition for their debut CD on Nagel-Heyer Records entitled Shifting Times”, which features Bill’s saxophone artistry on several tunes. Paradigm Shift’s core personnel are guitarist Melvin Henderson and organist Gerry Youngman. In addition to being recognized for their playing, both men are gaining recognition for their original composition. As on Bill’s first release “the story ends…the story begins”, Melvin and Gerry have contributed all originals on “Promise Street’”. “Brothers,” released in August, 2010, is the first recording by the Bill Tiberio Band. The disc was recorded live in front of an enthusiastic studio audience at Finger Lakes Community College in November, 2009, and has received extensive radio airplay in Rochester on 105.9 FM. Phil Lake is a graduate of Berklee College of Music in Boston, MA where he received a bachelor’s degree in applied music. A Rochester native, Phil has pursued a wide variety of musical endeavors that include performing and instructing as well as co-ownership of a music store. He has developed a reputation as a versatile freelance drumset specialist playing in all types of musical settings from rock, pop, and jazz groups, to dixieland, off-broadway pit bands, and commercial jingle recordings. In addition to performing, Phil has also been a very active private instructor and clinician for over 30 years. Currently Phil appears with the contemporary jazz group BTB (Bill Tiberio Band) and leads his own group Lake Effect. He is currently working on creating an interactive instructional website. Geoff Smith received his Masters Degree in Jazz and Contemporary Media from Eastman School of Music. He is currently teaching recording arts and jazz improvisation at Finger Lakes Community College in Canandaigua, NY. Geoff has performed professionally with Dizzy Gillespie, Max Roach, Jon Hendricks, Larry Coryell, Maureen McGovern, Charlie Byrd, Tal Farlow, Gene Bertoncini, Steve Gadd, Chuck Mangione, The Rochester Philharmonic Orchestra and the Chatauqua Orchestra. He has also performed with the national tours of Grease, Titanic, Annie, Fiddler on the Roof, and Five Guys Named Moe. Scott Bradley has music degrees from Nazareth College and SUNY Fredonia and has studied jazz at the Eastman School of Music. He is a “musician’s musician” who has both perfect pitch and a strong sense of relative pitch. Scott has been known to take harmonic dictation at concerts with a pen and piece of scrap paper, he has file cabinets full of the solos he has transcribed, he can write arrangements during breaks between sets and he has sight-sung bridal dances on five minutes notice. In addition to the trumpet and piano, he has played gigs on bass, drums, vocals, bari sax, accordion and tuba. Scott served as musical director for the legendary urban soul band Stratosphere and went on to perform with the alternative rock group the Essentials. He contributed two compositions to their debut recording “Gas Money” that was chosen Best New Independent Rock Band by the College Music Journal. He also contributed original music used on the Brother Wease TV show. Scott played trumpet for two years with the Pee Wee Ellis Assembly where, in addition to performing, he bailed Pee Wee’s sax out of hock. He has performed and recorded with Hank Ballard, Bo Diddley, Bobby Byrd, Bill Doggett and John Ellison. Scott taught music for fourteen years at the Kendall Central School where he created two jazz bands and a marching band. He listed in “Who’s Who Among America’s Teachers” and he won the University of Rochester Award for Excellence in Secondary Education in 1995. He currently teaches privately and serves as accompanist for the Mountain Rise U.C.C. Choir and the St. Louis Catholic Church Lyric Chorale. Scott lives and performs with the intensity of his boyhood hero, Roberto Clemente. He can run while carrying equipment in excess of a hundred pounds, he has been known to practice his trumpet while driving, he performs head stands on the piano and balance beam routines on the organ, etc. He speaks fluent Spanish and almost made the mistake of becoming an attorney. Scott has contributed several original compositions to the Bill Tiberio Band and has transcribed many of the cover tunes that the band performs. He is driven to compose new music daily. He would like to thank his fellow band members for helping to bring his songs to life and his mom and dad for making him practice.